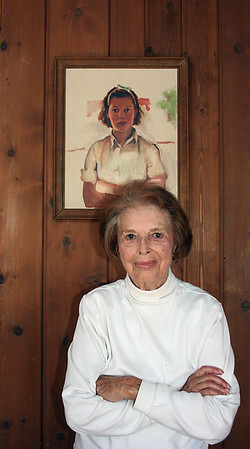 Helen Tanner, 93, at her summer home near Beulah. The painting behind her was done by a friend in the 1930s after a tennis game when she was in her 30s. She takes it with her when she moves from summer home to winter residence in Florida.